Valencia is top of our list right now as a potential home base for the next year or two, but it's a city of a million people and there are a variety of neighborhoods we could choose to live in. During this five month stint in the city we have been test-driving two of the most popular barrios to see which suits us best. Although there are lots of other places in Valencia to live we know we want to be within walking distance of the city center (which rules out the beach neighborhoods) and we prefer to be among a good choice of cafes and restaurants with an international flavor. So while there are definitely other possibilities, we spent July in Ruzafa, August in El Carmen and for September through November we are back in Ruzafa, So in our humble opinion, how do they compare? Ruzafa (or Russafa in the Valencian language) is part of L'Eixample (meaning expansion) just outside the old city walls. It's a hipster neighborhood that was transformed in the last decade by incomers from pretty much everywhere. It's multi-cultural, not in a New York or London way- but few places are. That's not to say there aren't traditional neighborhood spots, there are plenty, but it's really a mix of old and new, traditional and modern, Spanish, North African and a little bit of everywhere else. At the center of the neighborhood is the Mercado - a building that had the potential to be a hideous concrete monstrosity, until some clever person had the idea to paint it multiple colors. While I am not sure it can be described as beautiful it is certainly a landmark and an iconic representation of mid-century design. The streets in Ruzafa are wide compared to El Carmen, and every street is filled with bars, restaurants, cafes and little shops. The buildings have beautiful colorful facades with characteristic cast iron balconies. As barrios go, it's pretty good looking. We spent the month of August in El Carmen (El Carme in Valenciano), and found it to be a little different to Ruzafa but no less enjoyable. El Carmen is one of six districts that comprise the old town or Ciutat Vella of Valencia that was contained within the former city walls. Here the streets are much narrower and labyrinthine. We got lost many times, finding cute little squares, and cafes and bars that we would never have found on the most direct route. Old Town also has some of the best street art I have seen in any city. I can see why a lot of ex-pats, especially Americans would chose this area, It's the epitome of a charming, historic quintessentially European neighborhood. Lots of great restaurants and bars. In fact it doesn't get more perfect that hanging out on a summer's evening in Plaza Negrita with an Aperol Spritz watching tourists and locals yakking about the day and life in general. Also central to Ciutat Vella is a market, but the Mercado Central is on a whole different scale to the one in Ruzafa. It is gigantic and beautiful, no I mean really beautiful, not just in an iconic way. Just like the rest of the old town it attracts a lot of tourists, and for us that was the main difference between El Carmen and Ruzafa generally. A lot more tourists. That's not always a bad thing - and I really don't like the demonization of tourism, we are all tourists at some point. But it does add a different feeling to the neighborhood. I think Valencia on the whole is not dominated by tourism like we have experienced in other cities - yes Lisbon I am talking about you again. 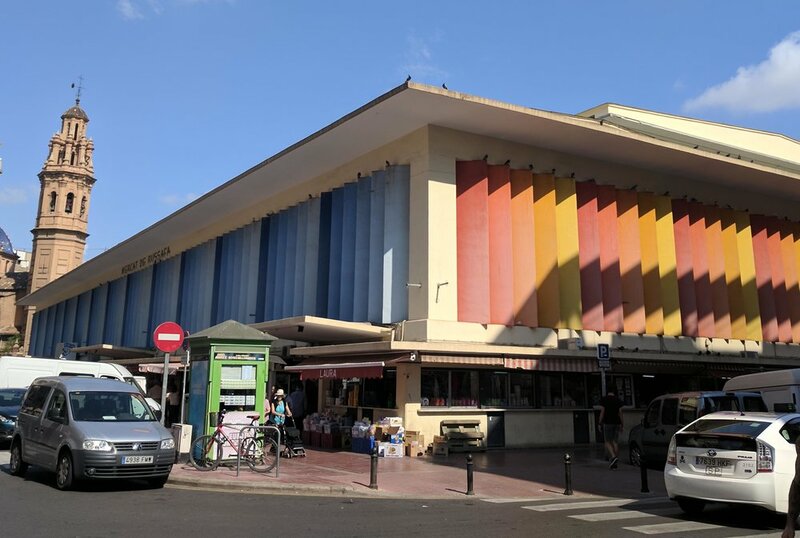 Groceries: We prefer the intimacy of the Mercado de Ruzafa, it's not so overwhelming and there are no souvenir shops selling paella fridge magnets. Mercado Central is spectacular and had a better choice of many foods than we found in Ruzafa. But it's not so far away and we can visit whenever we want. Ruzafa also has better supermercados, not just tiny, cramped stores like we found in El Carmen. 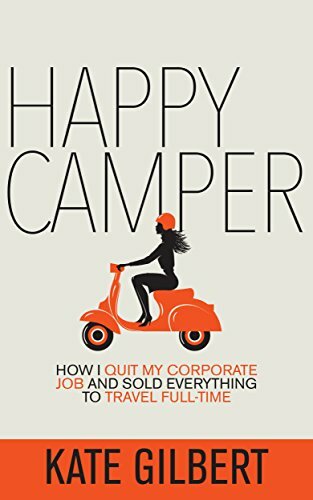 Restaurants: We are more casual diners, our fine dining days bring back too many traumatic memories of our previous corporate lives! We easily settle for beer and pintxos, wine by the glass and a simple menu del dia. Both neighborhoods have great choices, we probably would give Ruzafa the edge for more variety and better value and less focus on attracting tourists. 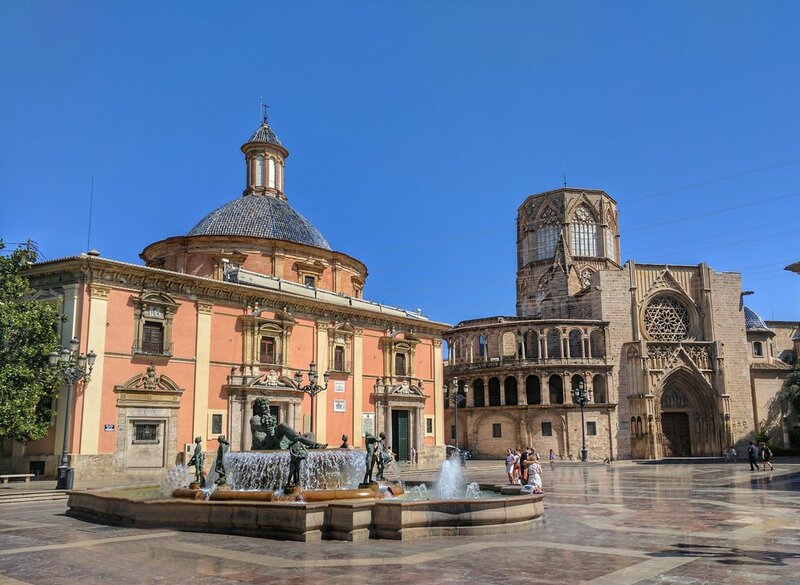 Cost: Valencia is inexpensive compared to many cities of its size, but if you are looking for a budget barrio, neither of these places are likely to be top of your list. I would say we have found short term accommodation to be comparable but eating out and groceries probably better value in Ruzafa. 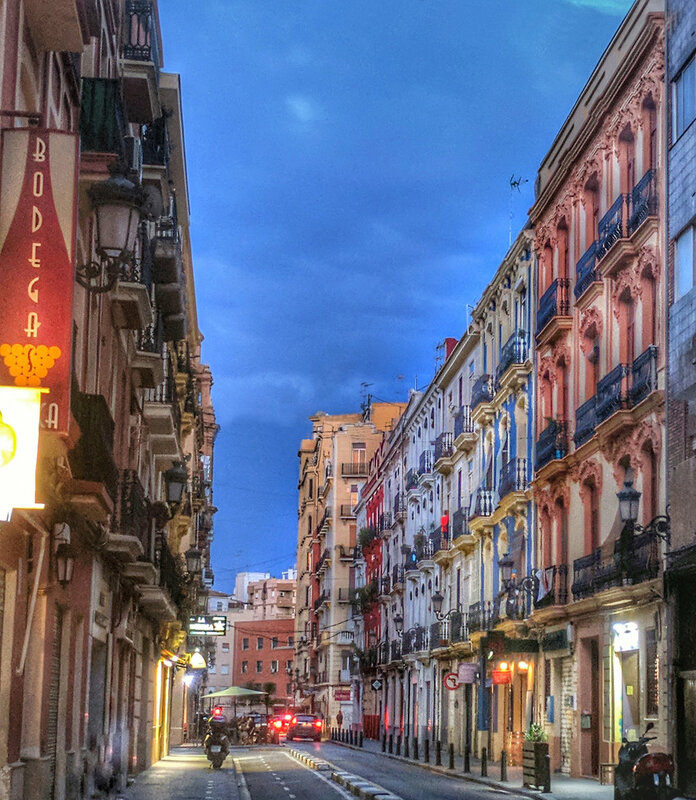 Location: Valencia is small, walkable and has excellent public transport. I don't think it really matters that much where live are as you can be pretty much anywhere else within 30 minutes. Both El Carmen and Ruzafa are about 15 minutes to the main shopping area of the city. Our place in El Carmen was closer to the park, the Turia Gardens, a key area for lots of happenings in Valencia. Depending where you are in Ruzafa you can be over a mile from the park. Noise: We are pretty noise tolerant and are probably not good advisers if you are noise-sensitive. Actually if you don't like noise I simply don't recommend living in a Spanish city, period. Ruzafa has a reputation for being noisy because there are bars and nightclubs open late, but we found El Carmen to be noisier. The two main sources of noise were church bells and, believe it or not, parrots. Yep those little buggers make a racket. In the narrow streets of El Carmen these noises get amplified, but honestly for us, the noise was all part of the fun. Oh and I forgot about garbage trucks in both places. The price for living in a clean city is that trucks empty the trash and recycling every night. They are very noisy and are always in the early hours so for me earplugs when sleeping with the window open are a bonus. So overall our conclusion is that we prefer Ruzafa and the other areas in L'Eixample. Yes, it's full of ExPats like us, but it has less tourists and we just like the multi-cultural vibe here. We would not rule out living in El Carmen if the perfect flat came along but if we come back next year L'Eixample will be our goal. The beauty of this city is how easy it to get around so we can spend time in our favorite part of town and still enjoy everything that Ciutat Vella has to offer on a regular basis. You really can enjoy it all!